Yet the idea that you can give anyone the merit of your Torah learning has become increasingly popular. One reason is that some people have found this easy to commercialize. Once you posit that anyone can learn Torah to benefit anyone else, then you can manipulate people into giving you money so that you (or the people in your kollel) will allegedly benefit their loved one. But in reality, the deceased is not getting any credit for this Torah learning. And it's often not even a particularly suitable or meaningful way of honoring their memory. It is therefore very gratifying to see that my friend Gershon Distenfeld has come up with a terrific project to honor the memory of his father, Fred Distenfeld z"l: a "Chesed Siyum." This involves reaching out and encouraging family and friends, and anyone else who wants to participate in chesed on a community level, to sign up and pledge to perform acts of chesed in memory of Fred Distenfeld. First, there is the obvious difference in that the mitzvah being done is one that helps other people. This is as opposed to learning Torah, which only benefits oneself; it does not benefit either the deceased (except when they are an ancestor/teacher) or society at large (at least, according to classical Jewish thought rather than recent mystical innovations). Second is that while learning Mishnayos would be a meaningful way to honor the memory of, say, someone who wrote a commentary on the Mishnah, it's not a particularly meaningful way to honor the memory of most people. Fred Distenfeld had an amazing reputation as a baal chesed, and so doing chesed is actually a meaningful way to honor his memory. Third is that many of those taking on this mitzvah are doing so because they are inspired by the sort of person that Fred Distenfeld was (even if they did not know him personally, and only from reports). Thus, the chesed being done can be attributed to his influence; it is indeed a credit, a zechus, for him. 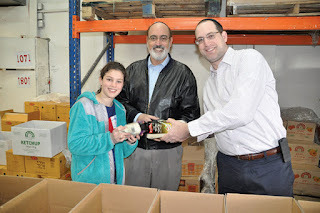 See the article about the Chesed Siyum at https://www.jewishlinknj.com/community-news/bergen/24679-join-the-family-of-fred-distenfeld-for-a-chesed-siyum-in-his-memory. And you can sign up for the Chesed Siyum at https://tinyurl.com/yaygv3cq. "This is as opposed to learning Torah, which ... does not benefit ... society at large." -- You just know you can be challenged here with "not even indirectly?" It's like a husband who keeps in good physical shape. Is it just for himself, and not also for the benefit of his family? "it does not benefit either the deceased (except when they are an ancestor/teacher)"
You conceded in your earlier post that Rav Akiva Eiger disagrees with this statement. Why do you not at least provide a disclaimer? Are you afraid people may trust Rav Akiva Eiger over you? No I didn't and no he didn't. His statement was apparently referring to his family and disciples, which is different from just any random person, as per the Gemara of bra mezakeh aba. Wrong. RAE asked for his FRIENDS and students to learn Mishnaoys on his behalf. He asked it be publicized in the newspaper! We had this exact conversation on your prior post and said you were relying on your faulty memory. You seem to have done this again. if people are learning for Rav Akiva Eiger because he asked them to, then obviously that is due to him! That's not the same as learning for a random person who did not ask you to! "That's not the same as learning for a random person who did not ask you to!" But nonetheless, 60+ people are learning mishnayos, motivated by the passing of a particular person. I fail to see the difference between the נפטר requesting it before he passed away, or a relative of the נפטר requesting it. A lone relative would probably not be able to learn 526 chapters of mishnayos by the שלשים, but together with 60 other people, they can accomplish it together. "This is as opposed to learning Torah, which only benefits oneself"
That's just the standard Chazalic concept that the Jewish People are providentially rewarded when they act properly. It's not talking about a mystical benefit of learning Torah. "the Jewish People are providentially rewarded when they act properly"
In other words, my learning does benefit others aside from myself. Assuming that learning Torah is the right thing for you to be doing, then I suppose so. This would not necessarily apply to people in kollel. Ok. So will we see a correction to your post? I think that most people will understand that I am referring to mystical notions of Torah providing spiritual energy to the world, not the standard notion of it being a good thing when Jews do mitzvos. אפיקורוס כגון מאן? - אמר רב יוסף: כגון הני דאמרי מאי אהנו לן רבנן? לדידהו קרו, לדידהו תנו. מאי אהני לן - והם אינן יודעין שעולם מתקיים עליהם. Regarding your third point, if a person's death causes one to learn in his/her memory, isn't the niftar directly inspiring the learning? I don't have much of a stake in the game, just wondering from a logical perspective. 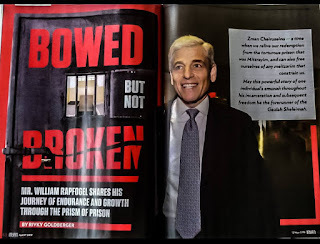 "Third is that many of those taking on this mitzvah are doing so because they are inspired by the sort of person that Fred Distenfeld was (even if they did not know him personally, and only from reports). Thus, the chesed being done can be attributed to his influence; it is indeed a credit, a zechus, for him." Similarly, learning some Torah that you would not have otherwise learned (either you wouldn't have learned that mesechta, or you wouldn't have used that time slot for learning) -- for the sake of a person who has passed away -- should be a zechus for the person for whom you are learning. Why not? See this additional source which states that mitzvos are only a benefit to the parent because the parent is the actual cause of this person. The fact that you are learning for the sake of someone else does not count as them being meaningfully the cause of your mitzvah. "One reason is that it is easy to commercialize"
1. This is your personal opinion stated as fact. 2. Almost every Shiva house I have been in has a mishnayos sign-up sheet which is filled in by people who don't charge for their learning. 1. But you see people charging for it, and manipulating sources to justify it. 2. Very nice. But there's just no mention of this in traditional sources. And it's hard to explain exactly what it's accomplishing.
" And it's hard to explain exactly what it's accomplishing." People are learning BECAUSE of the individual. But-for the death of the individual they would not be learning. According to the quote from RMF you provided the other day, that is a merit for the deceased. The idea that this refers to Torah teachers is flat out nonsense. Gobbledegook. Yeah, the idea that "Rabanan" refers to Torah teachers is flat out nonsense! (1) Rabbis don't teach themselves. (2) Rashi Berachos 6a s.v hani; Berachos 28a s.v. ki chalfi; Shabbos 33a s.v. de'ansi, and countless others. To spell it out, Rashi in all these places states explicitly that "Rabbanan" means "Talmidim." There's not much daylight, if any at all, between a chessed siyum or a siyum mishnayos. The promoters can call it a "zchus for the niftar" if that makes them feel good. But its not common to hear that. Most of the time these siyumim are just a simple communal way of honoring the memory of the deceased. How many signatories consciously think, when they sign on one of those siyum mishnayos lists, that they will actually be elevating his soul from one layer of heaven to another? Come on, now. This topic is really much ado about nothing. The accepted halachah follows that if the niftar has no son, then his parent should say Kaddish. According to your understanding, there would be no point at all for a parent to say Kaddish for a child. If there is no parent, then a relative should say. This would also be pointless according to your understanding. I don't have a Binymin Ze'ev in front of me, but he is also quoted by Magen Avrohom in siman 132 as saying that it is better for a son who cannot say Kaddish to hire someone to say for him as opposed to having someone say it for free. There are different explanations given. It would follow that if you believe that finishing the mishna l'iliui nishmas a parent is a benefit for them and you couldn't do it yourself, that you should pay others to do it on your behalf. I wouldn't be so quick to accuse others of a pointless scam. Although the quote that you posted from the Binyomin Ze'ev would seem to be agreeing with your position, I would like to see the Binyomin Ze'ev inside as it would seem to me that if he says anywhere that someone other than a son can say Kaddish, then you are understanding him incorrectly. If I remember correctly, the Binyomin Ze'ev is quoted extensively by Darchei Moshe in Y"D 376 in regards to "kedimah" in Kaddish and also speaks about what rights one would have if reciting Kaddish for someone other than a son. But I don't remember for sure. Rabbeinu Bachya at the end of Shoftim (on pasuk of "kapeir l'amcha) clearly indicates that other people can bring a z'chus t the neshama of a niftar when reciting blessings in public and giving charity on their behalf. He mentions that the benefit is greater when done by a son since "bra mezachi aba", however it's not totally excluding others. He is discussing benefit, not a mere remembrance out of honor. He doesn't however mention learning Torah in their z'chus. That may be simply be Kavod Hameis (or Kavod Hatzibur). It doesn't seem proper that many have people say kaddish for them while others don't. Also, maybe the kaddish to begin with, even when said by the child, has no effect on the status of the neshama of the deceased. The preference for payment for Kaddish likewise has to do with the fact that, otherwise, the survivor is not really connected to the kaddish in any way. That doesn't tell you about the mechanism. "I would like to see the Binyomin Ze'ev inside as it would seem to me that if he says anywhere that someone other than a son can say Kaddish, then you are understanding him incorrectly." One function of kaddish is tzidduk ha-din—declaring loyalty to the concept of Divine justice even in the face of suffering. This is a duty that specifically befalls those who have personally suffered as a result of the loss of the person who has passed away. Another function of kaddish is to honor the deceased, in this world. Such honor can be provided by anyone. But since the obligation to provide honor falls upon the children, they should be the ones to recite kaddish. However if, for whatever reason, they are unable to do so, others can provide this honor. The third function of kaddish is to provide a merit for the deceased. This is accomplished via the deceased’s descendant reciting a prayer which sanctifies God, especially since it is recited in public and leads the entire congregation to endorse it (via responding Yehei Shemei…). This function of kaddish can only be fulfilled by a descendant of the deceased, since only such a person is a credit to the deceased. Any other person is not able to effect a merit for the deceased. I think people are getting hung up here because they may be failing to understand the implications of the sources Rav Slifkin is citing from Chazal and the distinction that is being made here. This whole matter is purely one of ontology. When a person dies, he no longer is in a state of “becoming” – he is exactly who he was and his existence post mortem (i.e., olam haba or non-olam haba, depending how he lived his life) is a direct result of that – nothing can change who the person was, not even all the learning in the world. Accordingly, learning that is undertaken l’zecher or b’zchut a dead person does not change who the person was – it merely is a manifestation or reminder of what that person achieved prior to death. It is a credit to the person, but nothing new, since the person already earned that credit himself prior to his death. Conversely, any attempt to learn because doing so is perceived to have an impact on the dead person’s post mortem existence is an existential impossibility. It might make people feel good, it might make them act like better people, it may even feed their imaginations about what might actually be going on with the dead person, but by definition, such learning cannot effect a change in the person or who he was – he’s already dead and defined by whatever way he lived his life. I love Torah study. I've devoted much of my life to it. But I'm not going to fool myself into thinking that my learning has mystical benefits for other people. Especially when there is no mention of such a thing in the Rishonim. I agree with several of the commenters. In both cases you discussed (chesed and Torah study), one is only doing the extra deed because one was asked to do it by a relative, not because one was inspired to do it by the deceased. If it's the inspiration that serves as a credit, then neither should be credited. And one is credited for being the cause of others doing good, then both should be credited. As for Torah study only benefiting oneself: "Gadol halimud she'meivi lidei maaseh." Even theoretical learning (e.g., taharos) should lead to maaseh indirectly by teaching one proper ideas about Hashem's world. וכן כל שאר דרכי חסד: כענין ברא מזכה אבא (סנהדרין קד), או מקצת נפש ככל הנפש (קהלת רבה ז כז), המוזכרים בדברי החכמים, דרכי חסד הם לקבל את המעט כמרובה, אך לא מתנגדים ומכחישים ממש מדת הדין, כי כבר יש בהם טעם הגון להחשיב אותם. so because this man passed away, i learned those mishnayot, so he caused me to learn those mishnayot, its not mystical its just that in his honor i learned those mishnayot, and his death caused me to learn it. so its a cause which is an effective way of benafitting someone like you explained in your previouse post. I think this point is the foundation of all these "pay-for-zchus" programs. If you wouldn't pay them, or if there wouldn't be a sign up sheet for the niftar - they wouldn't do the learning/mitzvos/kaddish. I think Slifkin's post only discredits crediting a mitzvah one is doing anyways to someone else, which doesn't happen all that often. I do remember a local Yeshiva once made a "learnathon" sponsoring program for Shavuos Night. I thought it was funny. But those cases are rare.